Travel rewards credit cards take many different forms. Airline rewards cards offer opportunities to fly for free or on the cheap, reducing the cost of your vacations and business trips. Dining rewards cards reduce the cost of restaurant meals, often a major expense on trips. Many cash back credit cards give you a percentage back on all of your most important purchases, while gas rewards credit cards literally pay you to buy gasoline and make other purchases at gas stations. If you travel frequently, one or more of these card types have a place in your wallet – and so do hotel rewards credit cards. Virtually every major hotel company or brand family has at least one rewards credit card. Some cater to individual travelers, and others are meant for business owners. 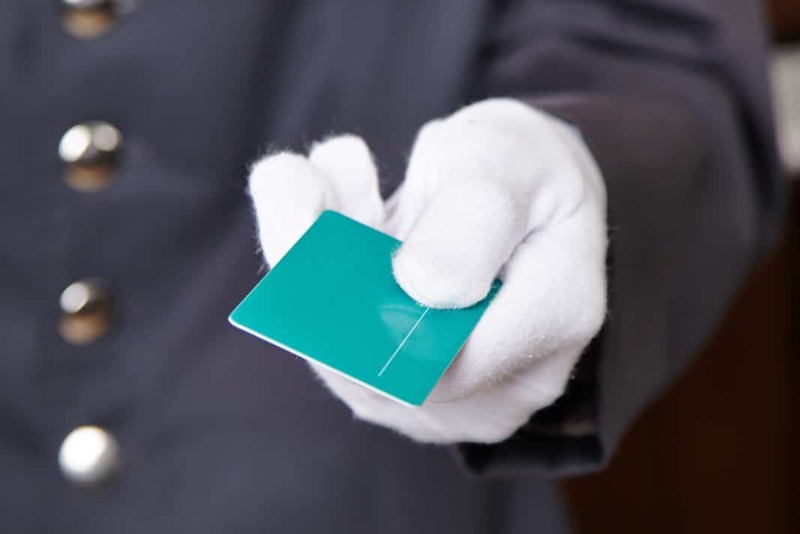 Every hotel rewards card is a little different, but the basic premise is consistent: purchases earn you points that can be redeemed for free or discounted nights, incidental hotel expenses (such as meals or spa treatments), and sometimes other travel expenses, such as airfare. Several hotel credit cards have more expansive rewards programs, offering merchandise, gift cards, and other valuable items that have nothing to do with hotels. Most hotel credit cards have extensive perks and benefits, and many have enticing promotions and sign-up bonuses. Keep in mind that the majority of these cards come with annual fees. While the lack of an annual fee is certainly nice, no-annual-fee cards often come with foreign transaction fees – meaning they’re less than ideal for frequent international travelers. Plus, they tend to have fewer fringe benefits than annual-fee cards. 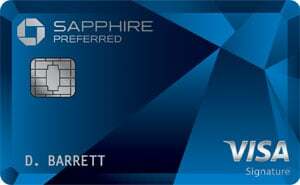 The Chase Sapphire Preferred® Card is simple, elegant, and powerful. Purchases on travel and dining at restaurants earn 2 Ultimate Rewards points per $1 spent, with no spending caps or restrictions. All other purchases give you 1 point per $1 spent. You can also transfer points to participating frequent traveler programs, such as Southwest Airlines Rapid Rewards and IHG Club Rewards, at a 1-to-1 ratio. For instance, 1,000 Ultimate Rewards points equal 1,000 IHG Club points. This card does have a $95 annual fee. When redeemed for airfare and hotel purchases through Chase’s Ultimate Rewards portal, you get 20% off, making your Ultimate Rewards points worth up to $0.0125 apiece. You can also redeem for gift cards, cash (statement credits, direct deposits, or checks), and merchandise, mostly at a $0.01-per-point rate. The redemption minimum is 2,000 points for cash redemptions. Finally, Chase Sapphire Preferred has a solid sign-up bonus: 60,000 bonus Ultimate Rewards points when you spend at least $4,000 within 3 months. Sign-up Bonus. Earn 60,000 bonus points, worth up to $750 on airfare and hotels purchased through Ultimate Rewards, when you spend at least $4,000 within 3 months. Hotel Rewards. Chase Sapphire Preferred earns 2 points per $1 spent at restaurants and on travel, with no spending caps or restrictions. All other purchases earn 1 point per $1 spent, again with no caps or restrictions. Redemption. You can redeem your accumulated points for anything offered through Chase’s Ultimate Rewards portal, including general merchandise, cash, and statement credits, usually at a value of $0.01 per point. However, travel (including hotel) redemptions offer the best deal, and aren’t subject to blackouts. When you book hotels through Ultimate Rewards, you get 20% off your order, boosting the value of your Ultimate Rewards points to $0.0125 apiece. You also don’t need to accumulate enough Ultimate Rewards points to pay for an entire room night or stay – simply use whatever points you have and pay the rest with your Sapphire Preferred card. Since Ultimate Rewards points have fixed values, there is no financial advantage to booking at higher-priced (e.g., Category 7) or lower-priced (e.g., Category 1) hotels. If you prefer, you can turn your Ultimate Rewards points into frequent traveler points with hotel brands and airlines such as Southwest Airlines, United Airlines, Marriott, Intercontinental Hotel Group, and more. Point transfers are made on a 1-to-1 basis. Preferred Customer Status. Chase Sapphire Preferred doesn’t confer any special status. Key Fees. The card’s annual fee is $95. There are no foreign transaction fees. Late and returned payments cost up to $38. Balance transfers cost the greater of $5 or 5%, and cash advances cost the greater of $10 or 5%. Introductory APR. There is no intro APR. Other Perks. Cardholders get VIP packages, early access, exclusive deals, and concierge treatment at entertainment and sporting events, including the PGA Championship. See our Chase Sapphire Preferred Card Review for more information. Learn more about this card and find out how to apply here. The information related to the World of Hyatt credit card has been collected by Money Crashers and has not been reviewed or provided by the issuer of this card. The World of Hyatt Credit Card is a Chase card with a $95 annual fee and a solid rewards program that favors regular Hyatt guests. It earns an unlimited 4 Hyatt points per $1 spent at Hyatt properties; an unlimited 2 points per $1 spent on direct airfare purchases, restaurant purchases, local transit and commuting purchases, and fitness and gym membership purchases; and 1 point per $1 on everything else. This card has a generous, 2-part sign-up bonus too: 40,000 bonus points when you spend at least $3,000 in the first 3 months of card membership, then 20,000 additional bonus points with $6,000 total spend in the first 6 months. That’s worth up to 12 free nights at participating properties. You can redeem your points for free nights at Hyatt properties worldwide. Redemption minimums start at 5,000 points (2,500 when you combine points and cash) for basic Category 1 hotels and rise to 30,000 points for luxurious Category 7 hotels. Other card benefits include automatic Discoverist status in the World of Hyatt loyalty program. Sign-up Bonus. When you spend at least $3,000 within 3 months of sign-up, you get 40,000 bonus points. You get another 20,000 bonus Hyatt points when you spend a total of $6,000 in eligible purchases in the first 6 months. Hotel Rewards. This card earns an unlimited 4 Hyatt points per $1 spent at Hyatt properties; an unlimited 2 points per $1 spent at restaurants, on local transit and commuting purchases, on fitness and gym memberships, and on direct airline purchases (not through third-party sites such as Expedia); and an unlimited 1 point per $1 spent on everything else. Redemption. You can redeem your Hyatt points for free room nights and upgrades at Hyatt properties worldwide. The free night redemption threshold starts at 5,000 points for standard rooms in Category 1 (lowest) hotels and rises to 30,000 points for standard rooms in Category 7 (highest) hotels. You can combine points and cash (called Points + Cash) to earn free night faster – for instance, 2,500 points plus $50 earns a free Category 1 night, while 15,000 points plus $300 earns a free Category 7 night. Point values vary based on category and property – for instance, the Category 1 Hyatt Place Phoenix-North (Arizona) starts at $110 per night for a standard midweek room, while the ultra-luxe Category 7 Park Hyatt New York starts at $917 per night for a standard midweek room. Points are generally more valuable when redeemed at higher-end properties. Redemption thresholds are subject to change at any time. Preferred Customer Status. This card automatically comes with Hyatt Discoverist status, which includes late check-out flexibility, 10% bonus on points earned on Hyatt stays, and complimentary in-room Internet access. Key Fees. There is a $95 annual fee. There is no foreign transaction fee. Balance transfers cost the greater of $5 or 5%, and cash advances cost the greater of $10 or 5%. Late and returned payments cost $37 each. Introductory APR. There is no intro APR promotion. Other Perks. You get a free award night (valid at Category 1 through 4 properties) on your cardmember anniversary, provided your account remains open and in good standing. You get another free award night in any cardmember anniversary year during which you spend at least $15,000 ineligible purchases. See our Chase World of Hyatt Card Review for more information. Compare the World of Hyatt Credit Card with other top hotel rewards cards. Venture® from Capital One® is a straightforward, no-surprises card with a $95 annual fee that’s waived in the first year. It has a generous early spend bonus worth $500 on travel bookings or statement credits. Moving forward, you’ll earn unlimited 2 miles per $1 spent on all eligible purchases. Miles are always worth $0.01 when redeemed for travel. Like Barclaycard Arrival Plus® World Elite Mastercard®, the Venture card isn’t a straight-up hotel rewards card. In fact, you can redeem points for statement credits on virtually any travel purchases: hotels, flights, rental cards, vacation packages, cruises, and more. Because of this, there are no blackout dates – you can stay at any hotel, any time, and just redeem your miles as a statement credit (known as Purchase Eraser) after your stay (within 90 days of purchase). You can also use accumulated miles to make travel purchases directly through Capital One’s booking center, and for general statement credits or paper checks. Redemption minimums vary depending on redemption method. Early Spend Bonus. Earn 50,000 bonus miles once you spend at least $3,000 in eligible purchases within the first 3 months. This bonus is worth $500 when redeemed for travel. Hotel Rewards. This card earns unlimited 2 miles per $1 spent on all eligible purchases, with no spending caps or restrictions. Through January 2020, earn unlimited 10 miles per $1 spent on eligible purchases at hotels.com/venture. Redemption. You can redeem your miles for virtually any travel purchase, including hotel stays, with no blackout dates. Redemptions can be made via statement credit (Purchase Eraser), provided you have at least 2,500 miles to redeem, or by direct booking through Capital One (no minimum required). You don’t get a bonus for redeeming for hotel nights. Points are always worth $0.01 apiece at redemption, no matter where or how you book. Preferred Customer Status. This card doesn’t come with any special status. Key Fees. The card carries a $95 annual fee, waived for the first year. There is no foreign transaction or balance transfer fee. Cash advances cost 3% of the advanced amount, with a $10 minimum. Other Perks. You get free, unlimited access to your FICO credit score and access to useful credit-building tools with Capital One Credit Tracker. 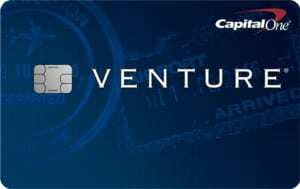 See our Capital One Venture Rewards Credit Card review for more information. Find out how you can apply for this card here. The Hilton Honors Ascend Card from American Express is a powerful travel rewards card with great benefits for frequent Hilton guests. It earns an unlimited 12 points per $1 spent at select Hilton properties; 6 points per $1 spent at supermarkets, restaurants, and gas stations; and 3 points per $1 spent on everything else. Ascend comes with a generous, 2-part welcome offer: 75,000 Honors points when you spend $2,000 in eligible purchases within 3 months, and an additional 25,000 Honors points when you spend an additional $1,000 in eligible purchases within the first 6 months. All told, that’s worth up to 20 free nights at participating Hilton properties. You can redeem your Honors points for free room nights at Hilton properties, starting at 5,000 points per night at Category 1 properties and rising to as many as 95,000 points per night at high-end Category 10 properties. You can also transfer to airline rewards programs, such as Delta SkyMiles, often at a 10-to-1 ratio. Hilton Honors Ascend has some other important perks, including complimentary Hilton Honors Gold status and complimentary Private Pass membership ($99 value), which entitles you to 10 complimentary visits at more than 1,000 airport lounges worldwide. Just watch out for the $95 annual fee. Welcome Offer. When you spend at least $2,000 in eligible purchases on your card within 3 months of opening your account, you get 75,000 Honors points. When you spend an additional $1,000 in eligible purchases within 6 months of opening your account, you get an additional 25,000 Honors points. The total value of this welcome offer is 100,000 points, good for as many as 20 free nights at a Category 1 property. Hotel Rewards. Earn an unlimited 12 points per $1 spent at Hilton hotels and an unlimited 6 points per $1 spent at supermarkets, restaurants, and gas stations. All other purchases earn an unlimited 3 points per $1 spent. Redemption. You can redeem your Hilton Honors points for free nights and upgrades at Hilton properties, with no blackout dates. You can also exchange your Honors points for miles with many popular airlines, including Virgin Atlantic and Delta Airlines. However, point-mile exchange rates aren’t as good as some other programs’, as ratios can reach or even exceed 10 points to 1 mile, far lower than the 1-to-1 or 5-to-1 deals found elsewhere. Hotel night redemptions start at 5,000 points for Category 1 (usually $100 and under per night) and rise to as much as 95,000 for Category 10 (usually $500 and over per night, and sometimes significantly more). To stretch your points further, you can use Hilton’s Points + Money feature, which lets you combine Honors points and cash. Combinations vary by hotel category, location, and other factors, but Hilton offers a common example on its website: a Category 3 hotel for 8,000 points plus $30 per night, instead of 20,000 points per night. Preferred Customer Status. Cardmembers get automatic Gold status, which comes with complimentary high-speed in-room Internet access, complimentary room upgrades when available, and a 25% boost to points earned on Hilton stays. When you spend $40,000 in eligible purchases on your card in a calendar year, you ascend to Diamond status. Cardmembers also enjoy complimentary Priority Pass Select memberships conferring up to 10 free lounge visits per year. Key Fees. This card has a $95 annual fee. Cash advances cost the greater of $10 or 3%. Late and returned payments cost $37 each. Other Perks. You get a free weekend night every year your card spending totals more than $15,000 in eligible purchases. You also get American Express’s complimentary baggage protection (up to $1,250 for carry-on baggage and $500 for checked baggage), 24/7 roadside assistance, and other attractive travel perks. Find out how you can apply for this card here. The Radisson Rewards Premier Visa Signature® Card earns 10 points per $1 spent at more than 1,000 participating Radisson hotels (whose brands include Radisson Blu and Country Inns & Suites) and 5 points per $1 spent everywhere else. Neither category comes with caps or spending restrictions. This card has a great sign-up bonus too: up to 85,000 points when you spend at least $2,500 in the first 90 days. You can redeem your accumulated points for free nights and room upgrades at Radisson hotels, starting at 9,000 points for a lower-tier room night. You can also convert your points to airline miles with more than 20 participating airlines, typically at a 10-to-1 ratio. The card does come with a $75 annual fee, but that may be worthwhile if you use this card often and travel frequently. Sign-up Bonus. Earn 50,000 bonus points simply for making your first purchase, and 35,000 additional points when you spend at least $2,500 within the first 90 days. This total bonus is worth up to 9 free nights. Hotel Rewards. This card earns 10 points per $1 spent at participating Radisson hotels, with no caps or restrictions. All other purchases earn an unlimited 5 points per $1 spent. Redemption. You can redeem your Radisson Rewards points for free nights and room upgrades, with no blackout dates, at participating Radisson hotels. You can also exchange your points for airline miles at more than 20 participating airlines. Free night redemptions start at 9,000 points per standard room night for Category 1 (lowest) properties and rise to 70,000 per standard room night at Category 7 properties. Category 1 properties often cost less than $100 per night – for example, the Country Inns & Suites Atlanta Airport (Georgia) costs $99 per standard midweek room. The cost of higher-end properties varies widely, so they don’t always offer great redemption deals – for instance, the Category 7 Radisson Blu Minneapolis Downtown requires 70,000 points for a free night, but costs just $228 per night for a standard midweek room. Radisson also lets you combine cash and points (called Gold Points + Cash). The amount of points and cash required varies by property and category – for example, the Category 1 Country Inns & Suites Atlanta Airport requires 5,000 points and $59.40, and the Radisson Blu Minneapolis Downtown requires 20,000 points and $161.40. If you want to convert points to airline miles, you can do so automatically (as they’re earned) or manually, typically at a ratio of 10 points to 1 mile – which isn’t as great a value as some other conversion schemes, which offer 5-to-1 or even 1-to-1 transfer. As always, pricing and terms are subject to change. Preferred Customer Status. This card automatically qualifies you for Gold status, whose benefits include a 15% discount on food and beverages purchased at Radisson hotels and 35% faster point earnings on hotel stays. If you were a Gold member prior to signing up for this card, you get 15 qualifying nights toward Platinum status. With this bonus, you need 25 more nights to reach Platinum status, whose benefits include a 25% food and beverage discount and 75% faster point earnings on stays. Key Fees. This card has a $75 annual fee. Balance transfers cost the greater of $5 or 3% of the transferred amount, while cash advances cost up to the greater of $10 or 4%. Foreign transactions cost 2% if denominated in U.S. dollars, and 3% if denominated in foreign currency. Late payments cost $37, while returned payments cost $35. Other Perks. You get a 40,000-point loyalty bonus each year when you renew your card. With each $10,000 in eligible annual spending, you earn a free night’s stay when you renew your card, up to 3 free nights per year. You’ll also enjoy 24/7 concierge assistance and travel/emergency services. The Marriott Bonvoy Boundless™ Credit Card from Chase earns you 6 Marriott Bonvoy points for every $1 spent at participating Marriott Bonvoy hotels worldwide. All other purchases earn 2 points per $1 spent. There are no spending caps on any category, and the card carries a $95 annual fee. Redemption minimums vary by hotel class, but start at 7,500 points at Category 1 properties and range up to 85,000 points at Category 8 properties. The Boundless card also has a very generous sign-up bonus: When you spend $3,000 in eligible purchases in the first 3 months of card membership, you get 75,000 Marriott Rewards points. Plus, you get 1 free night stay at any property requiring 35,000 points or less per award night after your account anniversary each year, and automatic Silver Elite Status as long as you remain a cardholder in good standing. Sign-up Bonus. Earn 75,000 bonus Marriott Rewards points when you spend at least $3,000 in eligible purchases within 3 months of account opening. Hotel Rewards. Earn 6 Marriott Rewards points for every $1 spent at participating Marriott Bonvoy hotels and 2 points per $1 spent on all other qualifying purchases. Redemption. You can redeem your Bonvoy points for free stays and upgrades at Marriott-branded hotels or redeem for other types of travel with participating airline and car rental partners. Category 1 properties (the lowest level) require 7,500 points per night, while Category 8 properties (the highest level) require 85,000 points per night. Category 1 properties tend to cost less than $100 per night, while Category 8 properties nightly rates routinely exceed $500. All quoted per-night prices are subject to change – check Marriott’s website for the latest details. Preferred Customer Status. This card comes with automatic Silver Elite Status as long as your account remains open and in good standing. Silver Elite Status’s benefits include a 10% bonus on base points earned during stays at participating Marriott Bonvoy properties, members-only room rates, guaranteed reservations (with compensation for alternate arrangements if your reservation can’t be honored), and more. When you spend at least $35,000 in a calendar year, you graduate to Gold Elite Status, whose benefits include a 25% bonus on base Bonvoy point earnings and complimentary room upgrades where available. Key Fees. The card’s annual fee is $95. There are no foreign transaction fees. Balance transfers cost the greater of $5 or 5%, and cash advances cost the greater of $10 or 5%. Introductory APR. There is no intro APR. Variable regular APR applies from day one. Other Perks. You get a free night’s stay at select Marriott hotels (requiring 35,000 points or less per award night) after your account anniversary each year. See our Marriott Bonvoy Boundless™ Credit Card from Chase for more information. The information related to the IHG Rewards Premier Credit Card has been collected by Money Crashers and has not been reviewed or provided by the issuer of this card. 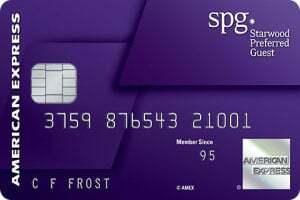 The IHG Rewards Club Premier Credit Card earns you 10 IHG Rewards points per $1 spent at Intercontinental Hotel Group hotels, which includes properties such as Staybridge Suites and Holiday Inn. You also earn 2 points per $1 spent at gas stations, grocery stores, and restaurants, and 1 point per $1 spent everywhere else. There aren’t any spending caps or restrictions. The card does have an $89 annual fee, though. The IHG Rewards Club Premier Credit Card also has a nice sign-up bonus that totals 120,000 bonus points plus a $50 statement credit on $5,000 in eligible spending within the first 6 months. You can redeem points for hotel stays at select Intercontinental properties, including most Holiday Inn and Holiday Inn Express locations. Redemption minimums vary by property brand and redemption date, but typically start at 10,000 points per night and range up to 60,000 points per night. Sign-up Bonus. For a limited time, this card has a generous three-part sign-up bonus. First, earn 80,000 bonus IHG Rewards points when you spend at least $2,000 in eligible purchases within 3 months of account opening. Second, earn 40,000 additional bonus points when you spend at least $3,000 more in eligible spending within 6 months of account opening (for a total required spend of $5,000 within 6 months). Finally, you’ll earn a $50 statement credit after your first purchase. Hotel Rewards. You earn 10 IHG Rewards points per $1 spent at Intercontinental Hotel Group hotels, such as Holiday Inn and Staybridge Suites. You also earn 2 points per $1 spent at grocery stores, restaurants, and gas stations, plus 1 point per $1 spent everywhere else. Redemption. You can redeem your IHG Rewards points for free hotel rooms and upgrades, with no blackout dates. You can also transfer to frequent flyer programs with several dozen major airlines, including Delta and Singapore Airlines, typically at a ratio of 5 IHG Rewards points to 1 frequent flyer mile. Per-night hotel redemption requirements range from 10,000 to 60,000 points, depending on the property brand and quality level. The amount of points required for redemption doesn’t always correspond to a hotel’s nightly rates – for instance, the Crowne Plaza Denver’s standard midweek rooms start at $161 or 30,000 points per night, while the nearby Holiday Inn Express Denver Downtown’s standard midweek rooms start at $198 or 20,000 points per night, which is a much better deal. Hotels in popular areas tend to require more points – for example, the Intercontinental: New York Times Square costs at least $399 (or 60,000 points) for a midweek single-night stay. You can also combine points and cash – for instance, you can get a free standard room at the Holiday Inn Express Denver Downtown for 10,000 points plus $70, or a free standard room at the Intercontinental: New York Times Square for 50,000 points plus $70. All redemption values are subject to change at IHG’s discretion. Preferred Customer Status. Cardholders in good standing automatically qualify for Platinum Elite status. Benefits include a 50% bonus on base IHG Reward point earnings on hotel stays, priority/flexible check-in and check-out, 72-hour guaranteed room availability, and complimentary room upgrades where available. Key Fees. The card carries an $89 annual fee. There are no foreign transaction fees. Balance transfers cost the greater of $5 or 5%, and cash advances cost the greater of $10 or 5%. Late payments cost $15 to $37, depending on balance size, and returned payments always cost $37. Other Perks. You get one free night per year at select IHG hotels for as long as your account remains in good standing. When you spend at least $20,000 in qualifying purchases in a calendar year, you earn 10,000 bonus points. See our IHG Rewards Club Premier Card Review for more information. The Marriott Bonvoy Brilliant™ American Express® Card has a host of valuable perks, such as a $300 annual statement credit against qualifying purchases at participating Marriott Bonvoy properties and complimentary access to hundreds of airport lounges worldwide through Priority Pass Select. Bonvoy Brilliant earns 6 Bonvoy points per $1 spent on eligible purchases at participating Marriott Bonvoy properties with no spending limits or restrictions. U.S. restaurant purchases and purchases made directly with airlines earn 3 points per $1 spent, with no spending limits or restrictions. All other purchases earn 2 points per $1 spent. Bonvoy points can be redeemed for free nights and room upgrades at participating Marriott Bonvoy hotels, or used for airfare and car rental redemptions with participating partners. When you redeem for hotel stays, you never have to worry about blackout dates. For a limited time, the Bonvoy Brilliant Card has an excellent welcome offer too: 100,000 bonus points when you spend at least $5,000 in purchases within the first 3 months (expires 4/24/19). Note that there’s a less generous business version of this card: Marriott Bonvoy Business™ American Express® Card. Welcome Offer. For a limited time, earn 100,000 Bonvoy points when you spend at least $5,000 in purchases within the first 3 months of card membership. That’s worth up to 13 free nights at Category 1 properties. This offer expires 4/24/19. Hotel Rewards. Earn 6 Bonvoy points per $1 spent on eligible purchases at participating Marriott Bonvoy properties. U.S. restaurant purchases and flights booked directly with airlines earn 3 points per $1 spent. All other eligible purchases earn 2 points per $1 spent, with no caps or restrictions. Redemption. The best way to redeem points is free nights and room upgrades – with no blackout dates – at participating Marriott Bonvoy hotels. You can also redeem for other types of travel with participating airlines and car rental companies. Redemptions generally begin at 7,500 points per night for budget-friendly Category 1 properties and rise to 85,000 per night for luxe Category 8 properties. If you don’t have enough points to redeem for a free night, you may be able to combine cash and points. See Marriott’s website for up-to-date information about redemption rates and resort fees not included in nightly awards. Preferred Customer Status. This card automatically comes with Gold Elite Status in the Marriott Bonvoy loyalty program. Benefits include 25% faster base Bonvoy point earnings, complimentary room upgrades where available, guaranteed reservations (with compensation for alternate accommodations when the property is unable to honor a reservation), flexible check-out times, and complimentary in-room Internet access. When you spend at least $75,000 in qualifying purchases during a calendar year, you earn an automatic upgrade to Platinum Elite Status, whose benefits include automatic upgrade to the best available room at check-in (where available), a 50% bonus on base Bonvoy point earnings, a welcome gift of your choice, and 4pm check-out. Key Fees. The card has a $450 annual fee. There are no foreign transaction fees. Cash advances cost the greater of $5 or 3%. Introductory APR. There is no introductory APR. Variable regular APR applies from day one. Other Perks. This card comes with a host of additional benefits, including up to $300 in statement credits against qualifying purchases made at Marriott Bonvoy properties, complimentary airport lounge access for the cardholder and two guests through Priority Pass Select, up to $100 in statement credits against Global Entry or TSA PreCheck application fees, and free access to thousands of Boingo WiFi hotspots worldwide. Amex-sponsored fringe benefits include return protection, which pays up to $300 per item and $1,200 per calendar year for rejected merchandise returns. See our Marriott Bonvoy Brilliant™ American Express® Card Review for more information. The Hilton Honors Card from American Express earns you 7 Hilton Honors points per $1 spent on hotel stays within the Hilton portfolio; 5 points per $1 spent on supermarket, gas station, and drugstore purchases; and 3 points per $1 spent on everything else. All categories have no spending caps or restrictions, making this a great card for frequent travelers who want to earn points on everyday purchases too. You can redeem points for hotel stays and incidental charges at variable rates and minimums, depending on the hotel property. This card has some nice fringe benefits. For example, you enjoy Hilton Honors Silver status, which entitles you to a free night on stays of 5 days or longer and automatically boosts your total point earnings by 15% (unlimited), for as long as you remain in good standing. Furthermore, the welcome offer is very solid: 50,000 bonus points for spending $1,000 within 3 months of account opening. Welcome Offer. Earn 50,000 Honors points when you spend at least $1,000 in purchases on the card within 3 months of account opening. Hotel Rewards. Earn 7 Hilton Honors points for every $1 spent at Hilton Hotels; 5 points per $1 spent at the supermarket, gas station, and drugstore; and 3 points per $1 spent on everything else. There are no spending caps or restrictions. You can also earn 500 bonus points per stay when you use your card to both reserve your hotel online and subsequently pay for your room upon arrival. Redemption. Point redemption follows the same guidelines as the Hilton Honors Surpass Card from American Express. Category 1 redemptions require 5,000 points, while Category 10 redemptions require 70,000 to 95,000 points, depending on the property. You can transfer to a number of popular airline frequent flyer programs, typically at a 10 points to 1 mile ratio, and can use Points + Money to earn free room nights faster. Preferred Customer Status. This card automatically qualifies you for Hilton Honors Silver status. Silver benefits include a 15% bonus on all Hilton Honors base points earned on Hilton stays, complimentary fitness center access, and a free fifth night on stays of five nights or longer. Key Fees. There is no annual fee. Foreign transactions cost 2.7% of the total transaction amount. Balance transfers and cash advances both cost the greater of $5 or 3%, and late and returned payments cost $37. Other Perks. Includes American Express’s baggage protection plan (up to $1,250 for lost or damaged carry-ons and $500 for checked bags) and 24/7 roadside assistance availability. See our American Express Hilton Honors Card Review for more information. 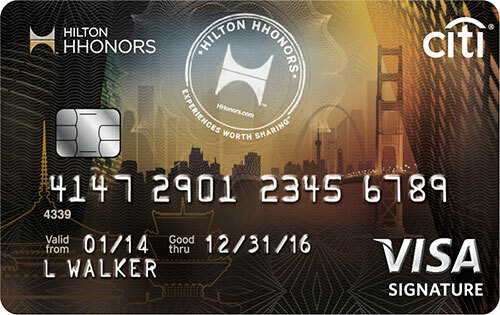 The Citi Hilton Honors Visa Signature Card earns 6 Hilton Honors bonus points per $1 spent on hotel stays within the Hilton portfolio; 3 points per $1 spent on drugstores, supermarkets, and gas stations; and 2 points per $1 spent on everything else. There are no restrictions on how many points you can earn. This card comes with a great sign-up bonus: 75,000 bonus points when you make at least $2,000 in purchases within 3 months. Points can be redeemed for hotel stays and incidental expenses at variable rates and minimums, usually starting at 5,000 points and rising to 95,000 points. Point values at redemption vary by property. As long as you remain in good standing, you enjoy Hilton Honors Silver Status, which entitles you to a free night on stays of 5 days or longer and automatically boosts your total point earnings by 15%, with no maximums or restrictions. Sign-up Bonus. Earn 75,000 bonus points when you make at least $2,000 in purchases within 3 months of account opening. That’s good for up to 15 free nights. Hotel Rewards. Earn 6 Hilton Honors bonus points per $1 spent on hotel stays at Hilton properties; 3 points per $1 spent at drugstores, supermarkets, and gas stations; and 2 points per $1 spent on everything else. There are no caps or restrictions in any categories. Redemption. Point redemption follows the same guidelines as Hilton Honors Surpass and Hilton Honors from American Express: redemptions require 5,000 to 95,000 points, depending on the category and property. Points + Money earns free nights faster, and you can transfer to several popular airline rewards programs, usually at a 10-to-1 ratio. Preferred Customer Status. Like the Hilton Honors Card from American Express, Citi Hilton Honors cardholders automatically qualify for Hilton Honors Silver status, whose benefits include a 15% bonus on all Hilton Honors base points earned on Hilton stays, a free fifth night on stays of five nights or longer, and complimentary fitness center access. You can upgrade to Gold Status, which comes with a points boost of 25%, when you stay 4 times within 3 months of account opening or spend $20,000 in your first year. Key Fees. There is no annual fee. Foreign transactions cost 3% of the total transaction amount. Balance transfers cost the greater of $5 or 3%, and cash advances cost the greater of $10 or 5%. Late and returned payments cost $35 each. Introductory APR. There’s no intro APR. Other Perks. This card comes with Citi’s Private Pass benefits, including VIP treatment and special access at popular events. See our Citi Hilton Honors Visa Signature Card Review for more information. The Citi Hilton Honors Reserve Card earns 10 Hilton Honors bonus points per $1 spent on hotel stays within the Hilton portfolio, 5 points per $1 spent on airfare and car rentals, and 1 point per $1 spent on everything else. Points can be redeemed for hotel stays and incidental expenses at variable rates and minimums. As long as you remain in good standing, you enjoy Hilton Honors Gold status, which automatically boosts your base Honors point earnings by 25%, with no maximums or restrictions. This card does have a $95 annual fee. This card comes with a great sign-up bonus: When you spend at least $2,500 within 4 months of signing up, you earn 2 weekend nights at select Hilton portfolio hotels and resorts. Also, the Private Pass Program – which includes a host of VIP deals and concierge services – is a great fringe benefit. Sign-up Bonus. When you spend at least $2,500 within 4 months of account opening, you get 2 weekend nights (standard room, double occupancy) at one of more than 4,000 Hilton portfolio hotels worldwide. That’s a value of $400 or more, depending on where you stay. Hotel Rewards. Earn 10 Hilton Honors points per $1 spent on hotel stays at Hilton properties; 5 points per $1 spent on airfare and car rentals; and 1 point per $1 spent on everything else. Redemption. This card’s redemption framework follows the other Hilton Honors cards on this list. You need 5,000 points to redeem for a free night at a Category 1 property, and as many as 95,000 to redeem at a Category 10 property. Airline program redemptions are typically possible at a 10-points-to-1-mile ratio. Points + Money earns free nights faster – for instance, 8,000 points plus $30 earns you a free night at a hotel that normally requires 20,000 points per night. Preferred Customer Status. Cardholders in good standing qualify for Gold status, which boosts your base Hilton Honors point earnings by 25%. Key Fees. There’s a $95 annual fee, but no foreign transaction fees. Balance transfers cost the greater of $5 or 3%, and cash advances cost the greater of $10 or 5%. Late and returned payments cost $35 each. Other Perks. Extra perks include Citi’s Private Pass program, which gives you special access, VIP treatment, and other benefits at sporting events and concerts. Cardmembership also comes with 24/7 travel and event booking. And when you spend $10,000 in a given year, you get an additional free weekend room night on your cardmember anniversary. See our Citi Hilton Honors Reserve Card Review for more information. Powered by Barclaycard, the Choice Privileges Visa Signature Card earns an unlimited 5 Choice Privileges Points per $1 spent on stays at more than 5,500 Choice hotels (including Comfort Inn and Cambra Hotels & Suites) worldwide. It also earns an unlimited 5 points per $1 spent on hotel gift cards and additional purchases of Choice Privileges points. Finally, it earns an unlimited 2 points per $1 spent on all other purchases. The generous signup bonus gives you an extra 32,000 points when you spend at least $1,000 within 3 months of sign-up – good for up to four free nights. You can redeem your accumulated Choice Privileges points for hotel stays at Choice Hotels, starting at 8,000 points per night and rising to 35,000 points per night, depending on property brand and regular room rate. You can also redeem for point transfers to select frequent flyer programs, including Southwest Airlines Rapid Rewards and American Airlines AAdvantage, usually at a 5-points-to-1-mile ratio. Sign-up Bonus. When you spend at least $1,000 within the first 3 months, you get 32,000 bonus points. That’s good for up to four free nights. Hotel Rewards. This card earns an unlimited 5 points per $1 spent at more than 5,500 Choice Hotels International locations and on additional Choice Privileges points purchases and hotel gift card purchases; and an unlimited 2 points per $1 spent on everything else. Redemption. You can redeem your accumulated Choice Privileges points for free nights at more than 5,500 Choice hotels worldwide, starting at 8,000 points per night and rising to 35,000 points per night (excluding Australasia, where room nights require up to 75,000 points). Generally speaking, lower-tier properties (such as EconoLodge and Rodeway Inn) require fewer points, while higher-tier properties (such as Cambria Hotels & Suites) require more points. However, exact point requirements vary by brand and room rate. You can redeem faster by combining points ad variable amounts of cash, starting at just 6,000 points. You can also redeem for point transfers to more than 20 frequent flyer programs, typically at a 5-to-1 ratio. Preferred Customer Status. This card automatically comes with Elite Gold status, whose benefits include the ability to make advance reservations 50 days out (instead of 30) and 10% faster point earnings on Choice Hotels stays. Key Fees. This card does not have an annual fee. The foreign transaction fee is 3%. Balance transfers cost the greater of $5 or 3%, while cash advances cost the greater of $10 or 5%. Late and returned payments cost $37 each. Introductory APR. There is no intro purchase APR, but balance transfers come with 0% APR for 15 months. Other Perks. If you spend at least $10,000 during the previous 12 months, you get 8,000 bonus points on your cardmember anniversary. Powered by Barclaycard, the Wyndham Rewards Visa Signature Card earns an unlimited 5 Wyndham Rewards points per $1 spent at participating Wyndham Hotels, whose brands include Wyndham, Microtel, Ramada, Days Inn, and Super 8. It also earns an unlimited 2 points per $1 spent on all other purchases. Its sign-up bonus is solid: 30,000 bonus points after your first purchase, good for 2 free nights at any Wyndham hotel. There is a $69 annual fee. You can redeem your accumulated Wyndham Rewards points for free nights at any Wyndham hotel, with no blackout dates. You always need 15,000 points to redeem for a free night, regardless of property or room rate. If you want to combine points and cash, you can redeem with just 3,000 points, though not all hotels permit this redemption method. You can also exchange your Wyndham Rewards points for airline miles at variable ratios. If you don’t qualify for the Wyndham Rewards Visa Signature Card, consider applying for the Wyndham Rewards Platinum Visa, which has a somewhat less generous rewards scheme and doesn’t come with an annual fee. Sign-up Bonus. When you make your first purchase, you get 30,000 bonus points. That’s good for 2 free nights at any Wyndham hotel. Hotel Rewards. This card earns an unlimited 5 points per $1 spent at Wyndham hotels, as well as an unlimited 2 points per $1 spent on all other purchases. Redemption. You can redeem your accumulated Wyndham Rewards points for free nights at any Wyndham hotel or resort, with no blackout dates, and exchange your points for frequent flyer miles with approximately 20 participating airlines (including American Airlines). 15,000 points equals 1 Go Free Award, good for a free night at any hotel or resort, regardless of its nightly room rates. Since you always need 15,000 points to redeem for a free night, it’s usually a better deal financially to redeem for stays at higher-end hotels and resorts. Alternatively, you can redeem 3,000 points plus variable amounts of cash for a Go Fast Award, good for a free night at participating (usually lower-end) Wyndham hotels and resorts. The amount of cash required to complete a Go Fast Award varies based on the property and normal room rate. Airline point transfers typically start at 6,000 points. Preferred Customer Status. Currently, this card does not come with any preferred status. Key Fees. This card comes with a $69 annual fee. Foreign transactions cost 3% of the transaction amount. Balance transfers cost the greater of $5 or 3% of the transferred amount, while cash advances cost the greater of $10 or 5%. Late and returned payments cost $37 each. Introductory APR. There is no regular intro purchase APR, but Wyndham Timeshare purchases come with a 0% APR for 6 months. There is also a 15-month 0% APR balance transfer promotion on all purchases. Other Perks. This card earns 5,500 bonus points on your account anniversary each year, as long as your account remains open and in good standing. Powered by First Bankcard, the Best Western Rewards Premium Mastercard earns 10 points per $1 spent at more than 4,000 Best Western properties worldwide, with no caps or restrictions. It earns 1 point per $1 spent on all other purchases. You can redeem for free Best Western stays, starting around 8,000 points, and transfer your points to participating frequent flyer programs, usually at a 5-to-1 ratio. There is a $59 annual fee that’s waived during the first year. This card comes with some great perks, including a sign-up bonus worth 50,000 points (good for at least 2 nights at most Best Western properties), automatic Platinum Elite status, and a 10% discount when you book your room at a special website. It’s also part of a broader card family with a number of other participants, including the Best Western Rewards Mastercard, Best Western Secured Mastercard (a secured credit card), and Best Western Rewards Business Mastercard. Sign-up Bonus. You get 25,000 bonus points when you spend at least $2,500 during the first 3 billing cycles, and an additional 25,000 points when you spend at least $5,000 during the first six billing cycles. This combined bonus is good for at least 2 nights at most Best Western hotels. Hotel Rewards. This card earns 10 Best Western Rewards points for every $1 spent at Best Western hotels, with no caps or restrictions, and an unlimited 1 point per $1 spent on everything else. Also, for every year in which you spend $10,000 or more with this card, you receive 20,000 bonus points. Redemption. You can redeem your Best Western Rewards points for free nights at Best Western properties worldwide and make point-to-mile transfers to participating frequent flyer programs, including American Airlines AAdvantage. At redemption, Best Western Rewards points aren’t worth as much as some competing programs’ points – often less than $0.01 per point. For instance, the Best Western Morton Grove Inn, a hotel in suburban Chicago, charges $77 or 12,000 points for a standard midweek room. The Chicago Grant Park Hotel, in downtown Chicago, charges $188 or 24,000 points for a standard midweek room. Airline point-mile transfers typically occur at a 5-point-to-1-mile ratio. Preferred Customer Status. Best Western Rewards Premium Mastercard users automatically earn Platinum Elite status. Platinum Elite status comes with a 15% bonus on point earnings for Best Western stays, free room upgrades at check-in when available, and priority customer service (including a dedicated toll-free phone number). Key Fees. The annual fee of $59 is waived for the first year. Balance transfers cost the greater of $10 or 3% for the first 6 months, and the greater of $10 or 5% thereafter. Cash advances cost the greater of $15 or 5%. Foreign transactions cost 3% of the total transaction amount. Introductory APR. There is a 0% APR on purchases and balance transfers for 6 months after account opening. Other Perks. Cardholders get a 10% discount on Best Western stays booked through bwrcarddiscount.com. With so many great hotel rewards credit cards out there, it’s hard to pick a favorite. When you throw the attractive sign-up bonuses that so many cards feature into the mix, the category gets even more exciting. However, that doesn’t mean it’s a good idea to throw caution to the wind and apply for new cards as fast as your fingers can type. Opening multiple credit card accounts within short time-frames can damage your credit score, sometimes with dramatic consequences. If you’re not careful, you could find yourself applying for a secured credit card in an effort to rebuild your credit. Plus, if you’re not paying off your entire statement balance each month, the interest you end up paying will likely exceed the value of any rewards you earn. What is your favorite hotel credit card?